IanzGurrl asks… Just found out the hubby is gluten-intolerant. 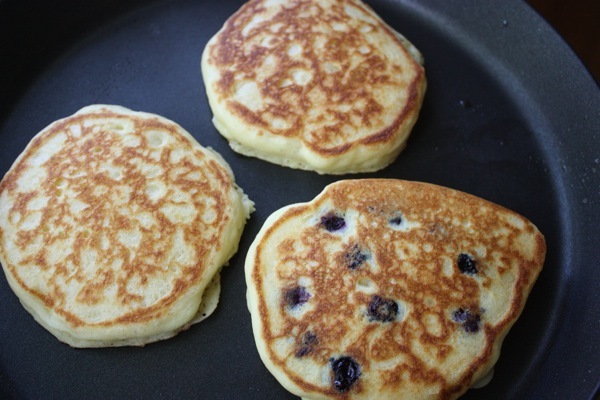 Could I make your blueberry buttermilk pancakes (and would they still be yummy) with rice flour? I did some research and they say you have to add xanthan gum to rice flour to add body for baking but this flour made really good pancakes. It does contain some added starches so maybe that’s all it needed for pancakes. I made plain buttermilk pancakes and one with blueberries and they came out great. I ate all three! If your rice flour has no starches added, you may need to add some or just try the flour I used or one with added starches. Next, I’m going to try baking a cake with gluten-free flour. Fingers crossed! 4 Comments on "Gluten-free pancakes"
Hello Jenny. I discovered your no-knead bread recipes a few ago and absolutely loved them. I have been making a loaf every two days since then and my whole family is raving over them. Sadly, my doctor just told me that I need to cut out gluten and I’m very upset about giving up these breads. Can I substitute GF flour mixes for the regular ones? Have you had any luck baking breads with GF flour? I’m especially interested in the crusty exteriors and soft interiors…artisan style breads that your recipes offer. HELP!!! Thanks in advance! I’m sorry I have no experience with gluten free baking. I also have a husband recently diagnosed with Celiac. 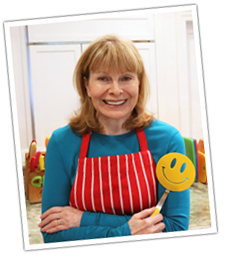 I have tried Bobs Red Mill 1 – 1 flour and Namaste GF flour for various cookies and recipes. I currently have a loaf of Namaste GF bread in the oven. Bobs Red Mill 1 -1 says not to use for bread, but it made great chocolate chip cookies.